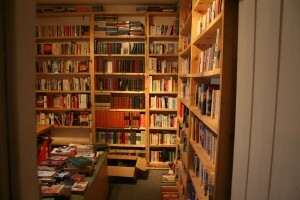 The books on our shelves are carefully and personally chosen by Scéal Eile Books’ staff. Years of experience with local customers and knowledge of local interests helps us carefully select books you will love. The books you see on our shelves are not automatically sent by publishers, nor are these titles chosen by someone in some remote office. If you don’t see books on a topic of interest to you please let us know. Thanks to you, Scéal Eile Books is able to continue keeping local readers in mind.